Gulliver's Gate can be found at 216 West 44th Street and is open from 10 a.m. until 7:00 p.m. on Sunday through Thursday. I put an oversized plastic key into an illuminated lock, turned it, and out popped Queen Elizabeth II from Buckingham Palace. Another lock summoned Scotland’s Loch Ness Monster and another sent a helicopter flying above New York City’s skyline. Where was I? Gulliver’s Gate. Inside the former New York Times office building, there’s some large-scale small-scale building going on. 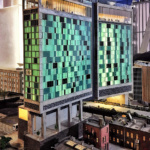 Today, Gulliver’s Gate opened its doors to the public, unveiling a $40 million new tourist attraction to Times Square. 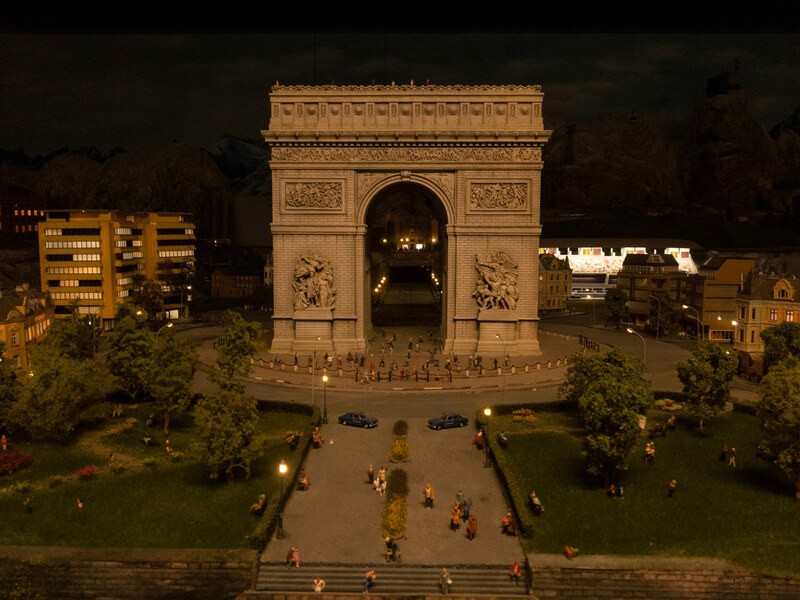 On show is a 50-nation display with 300 small-scale scenes, covering more than 6,500 square foot. 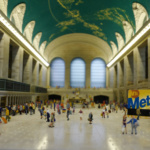 The first location visitors encounter after receiving their own key at the ground-floor reception is a miniature Manhattan. 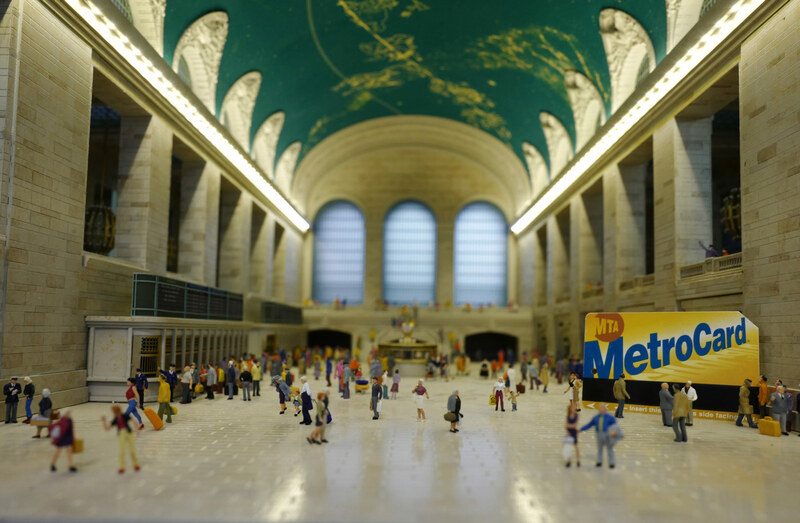 The model was made in Brooklyn by a team of 16 who took 358 days to craft the 950-square-foot scene. The almost year-long effort, though, was worth it. Details down to vases for bars and free standing coffee machines can be seen if you look close enough, meanwhile, New York’s skyscrapers, truncated by the ceiling, are exhibited as light forms. 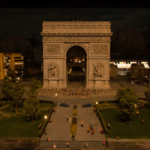 “These are an interpretation, New York is a city of light,” a spokesperson told The Architect’s Newspaper (AN) at the opening ceremony. 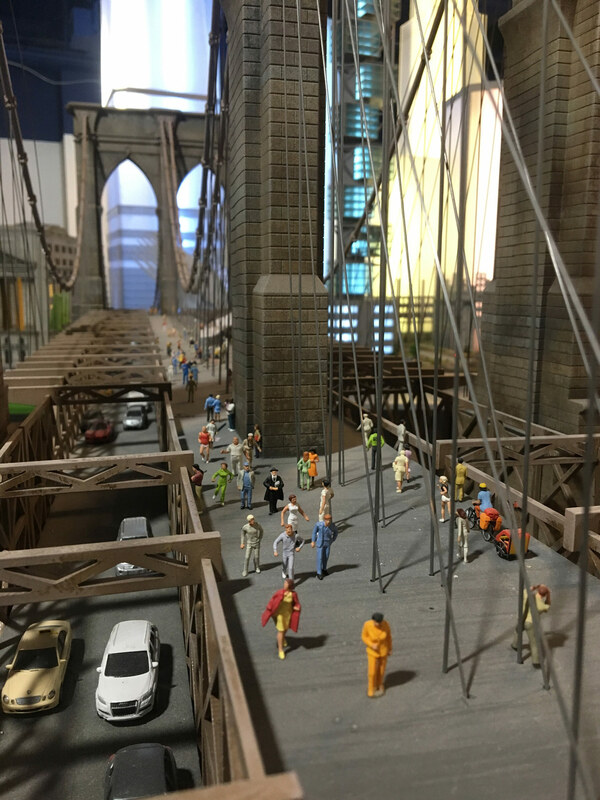 Additionally, visitors can see a myriad of dramas (almost all transport-based) played out on New York’s down-sized streets: from an overturned flatbed truck to fire engines rescuing people stranded on rooftops. These scenes are static, though the overall experience is kinetic and interactive. A section of Manhattan cuts through Grand Central Station, highlighting the station’s ornate interior complete with its signature ceiling. Below, the story continues as Amtrack and MTA Subway trains pass underneath, travelling surprisingly freely without interference of train traffic or other bizarre disturbances. 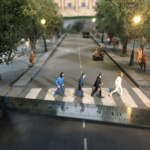 The selling point (or rather, key to success) for Gulliver’s Gate, however, is its interactivity—an unusual quality for a miniature model exhibition, where typically no touching is ever allowed. 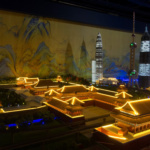 Of course, the same applies here, but to quell the thirst of your inner five-year-old yearning to play, keys handed out to each visitor allow you call all sorts of moving diorama’s into action. Sadly (though probably for the best) the moving trains, cars, and boats are not controllable. 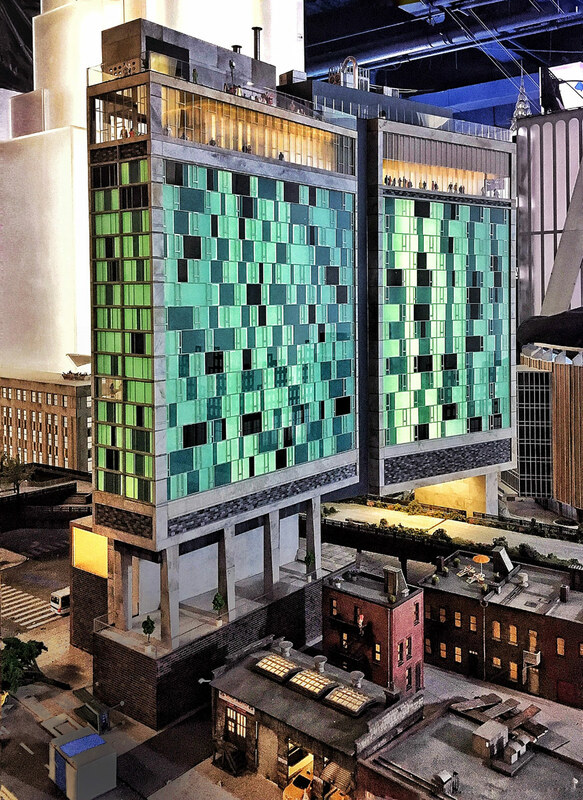 New York City may be the first location visitors see, but it is certainly not the only one on display. The Middle East, mainland Europe, Britain, Niagara, Russia, South America and Asia all feature, boasting their most iconic architecture. OMA, I.M. 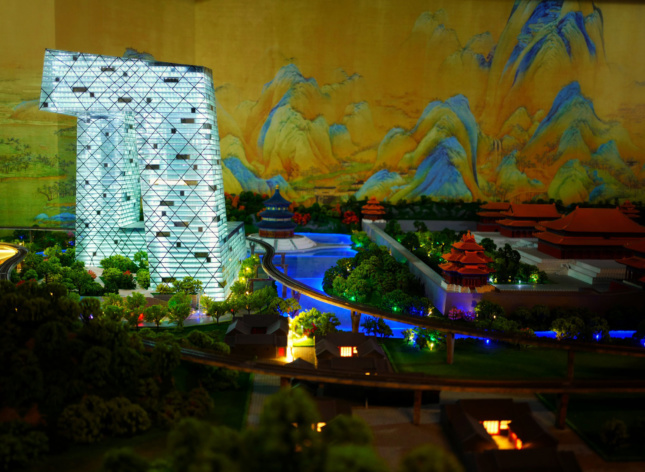 Pei, Moshe Safdie, Daniel Libeskind, Santiago Calatrava, Bjarke Ingels, Pelli Clarke Pelli, Frank Gehry, Skidmore, Owings & Merrill, and Gensler just to name a few, all have their buildings on display at 1:87 scale. An odd number, the scale is used in conjunction with the H0 Gauge model railroad locomotives on display—the gauge (gap between the tracks) is per the standards set by the National Model Railroad Association. The only location not to adhere to this is Britain, where the standard scale is 1:76, a scale that works with the established 00 Gauge for railroad models and thus British model railroad accessories. 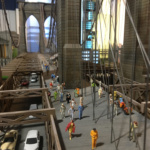 Unlike other miniature model mega-exhibitions, Gulliver’s Gate is proudly a work in progress. 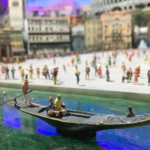 Such openness is usually only reserved for traveling railroad model exhibits, where community emerges from informality as enthusiasts flaunt their back-of-house rolling stock. 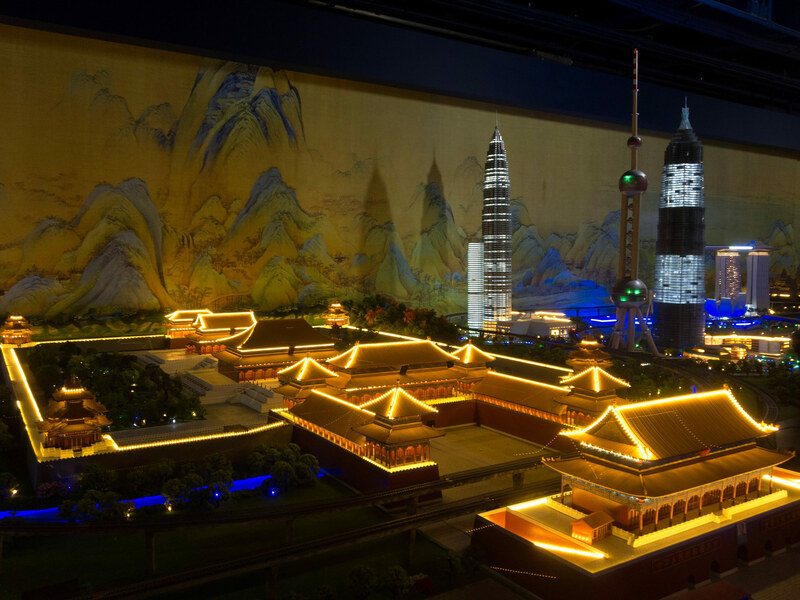 Lighting and other electrics are managed by a nuclear-style control system, the operation of which is on view to the public. An airport scene, designed in collaboration with Ben Krone of Gradient Architecture, is in the works and can also be seen. Africa and Mars too, staff told AN, are being built, but are currently hidden away. 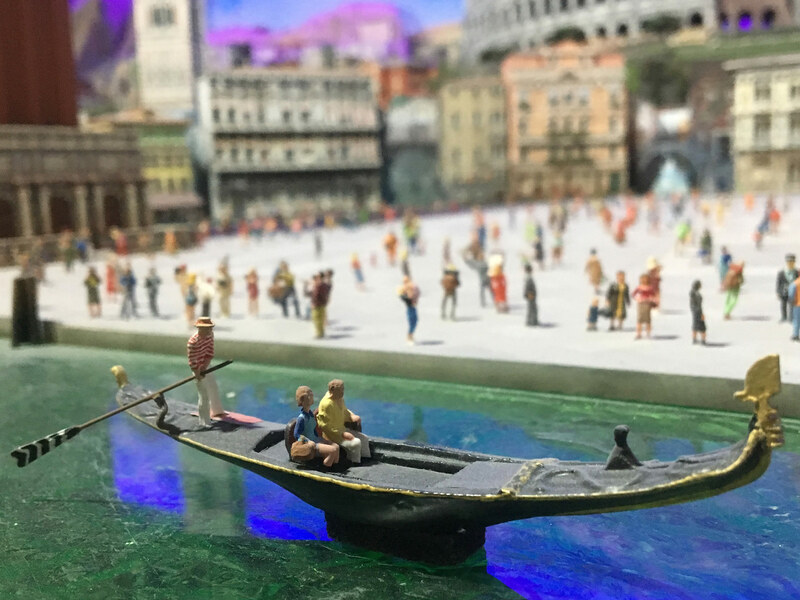 Visitors can also make their own models… of themselves. 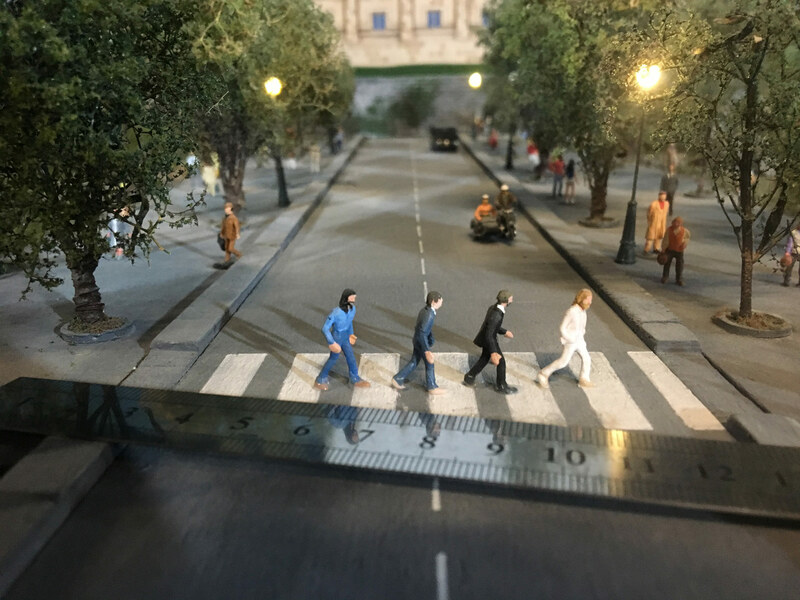 A full-body scanner and 3-D printer allow you to create miniature versions of yourself which you can either take home or leave behind as a permanent “model citizen” of Gulliver’s Gate. Gulliver’s Gate can be found at 216 West 44th Street and is open from 10 a.m. until 10:00 p.m. every day (last entry at 9:30 p.m.).